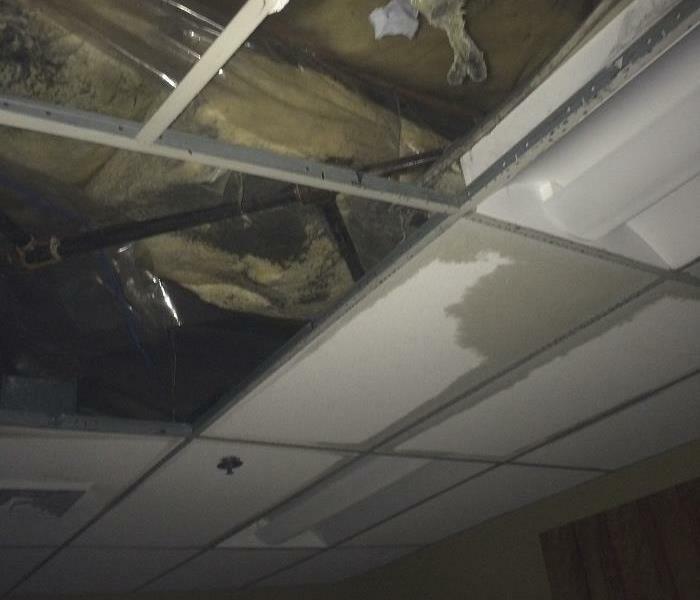 When the sprinkler system broke in this New Haven County nursing home, there was widespread water damage. Our crew was successful in quickly mitigating the water damage so that the residents could return to their normal lives. 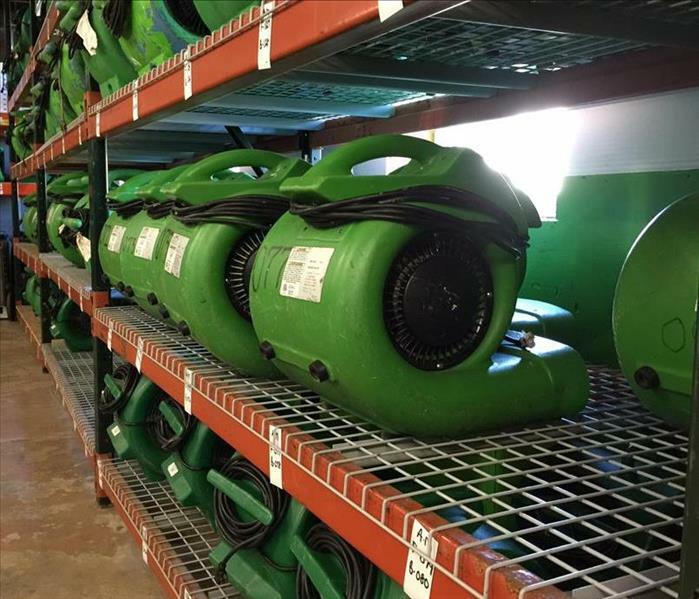 When a commercial warehouse in Hartford County had a massive fire, our SERVPRO Disaster Recovery Team cleaned up the smoke and soot damage. After a fire in this commercial warehouse, the walls were covered with a layer of black soot. Soot is a sticky substance that is not easily removed and requires professional cleaning with a chemical sponge. 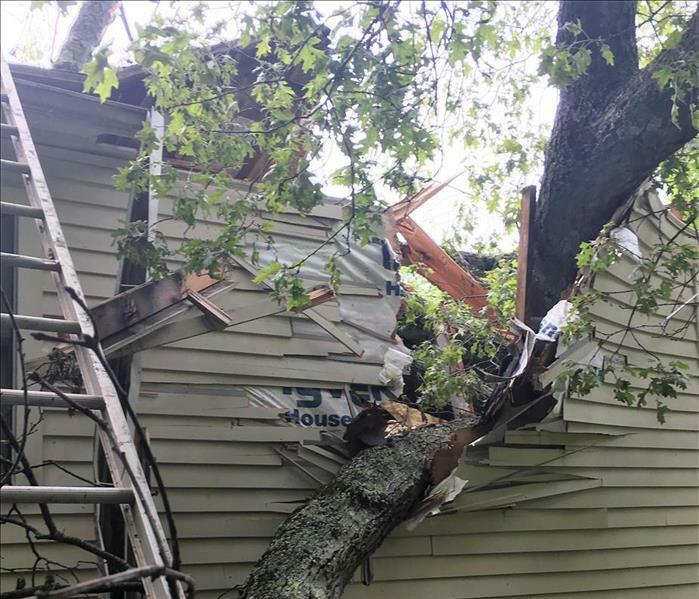 A thunderstorm that had high winds hit Ansonia and caused a tree to fall on this house. 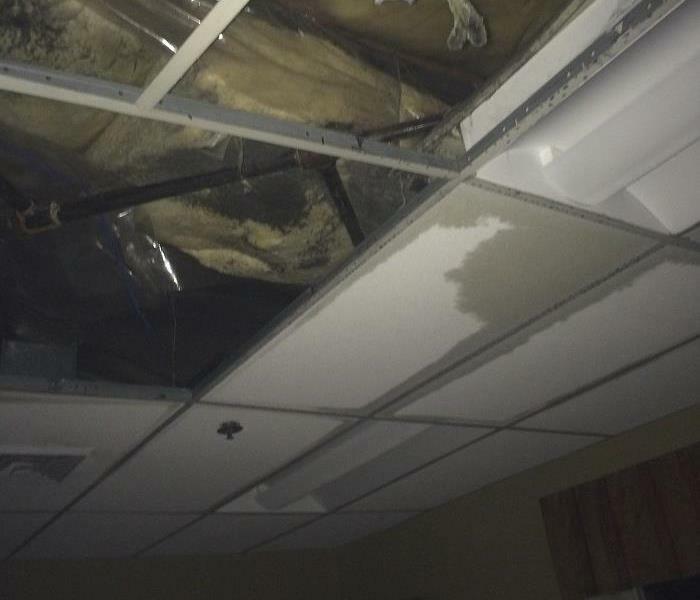 The collapsed roof allowed rain to enter the home, causing water damage. Our crew cleaned up the debris, tarped and boarded up the exposed areas and mitigated the water damage. When this New Haven County office building had water damage, SERVPRO of Milford-Orange-Stratford remediated the damage. When the work was done, our construction crew came in and repaired the damage. When we restore Milford area homes after water damage, we also take a complete inventory of the household items. This helps you make an accurate claim of damages to your homeowner's insurance company. We live and work in the New Haven County area. 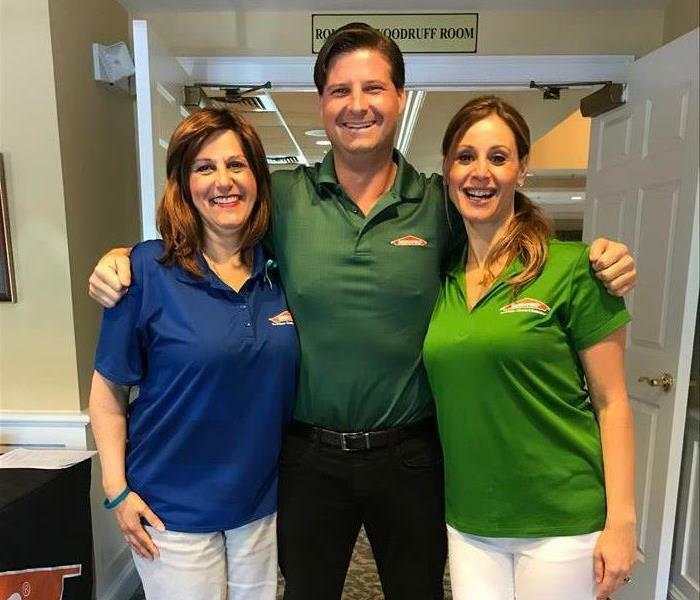 Here our business development department, Roseann and Danielle, attend a local event with owner Greg Geaski at the Race Brook Country Club in Orange, CT. 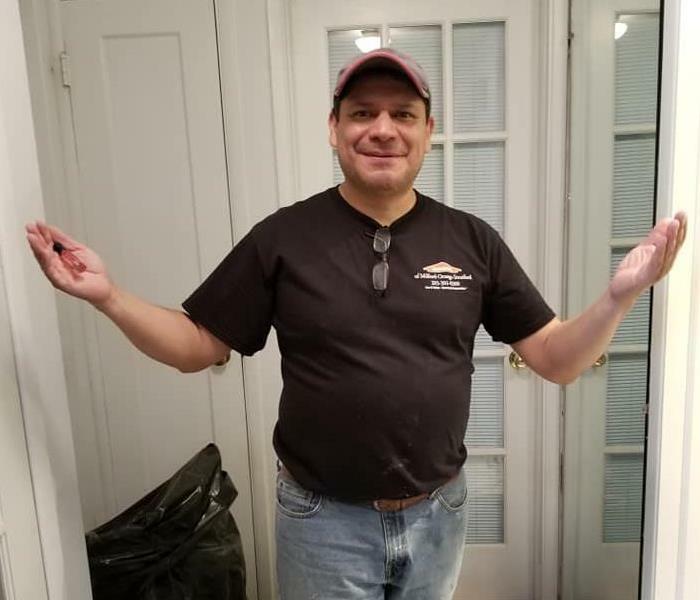 When we recently finished up a water damage job in New Haven County, our customer said " Better than A-ONE service. A very appropriate name for a very excellent company: SERVPRO." 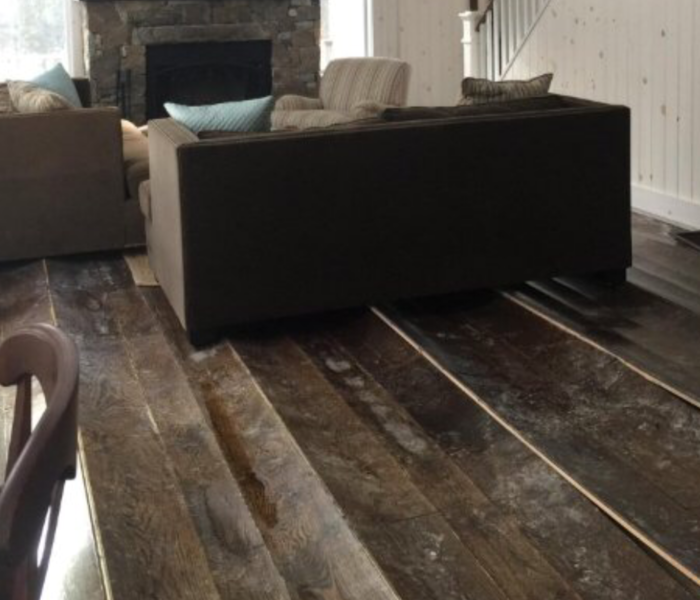 After this Milford, CT home suffered from water damage, our team restored it fully from start to finish. 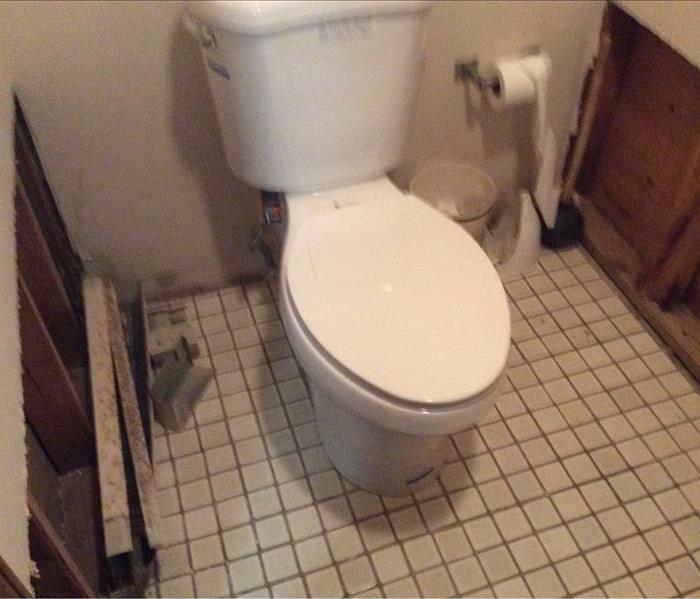 We removed the damaged materials, dried out the bathroom and rebuilt the space. When a sprinkler broke and discharged at this Shelton warehouse store, the floor was flooded with water. We have the ability and tools to clean up after commercial water damage. removing the water quickly saves our customers from further damage. A homeowner called us in because her hot water tank leaked throughout her first floor. Upon inspection, not only did we find standing water, but visible mold growth throughout the main living area. We immediately set-up containment and began removing damaged drywall, carpet and carpet padding. Past floods create mold growth behind walls or under floors. Persistent allergic reactions that seem to lessen when not home. Hours after a fire can make the difference between restoring versus replacing your personal belongs. 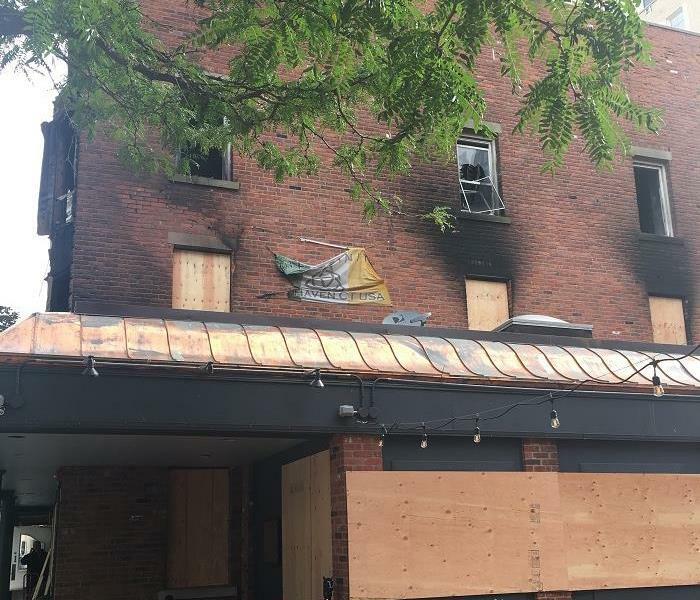 Please call us at 203-301-0500 or visit our website at http://www.SERVPROmilford-orange-stratford.com/ to learn how to protect your belongings should you experience a fire. 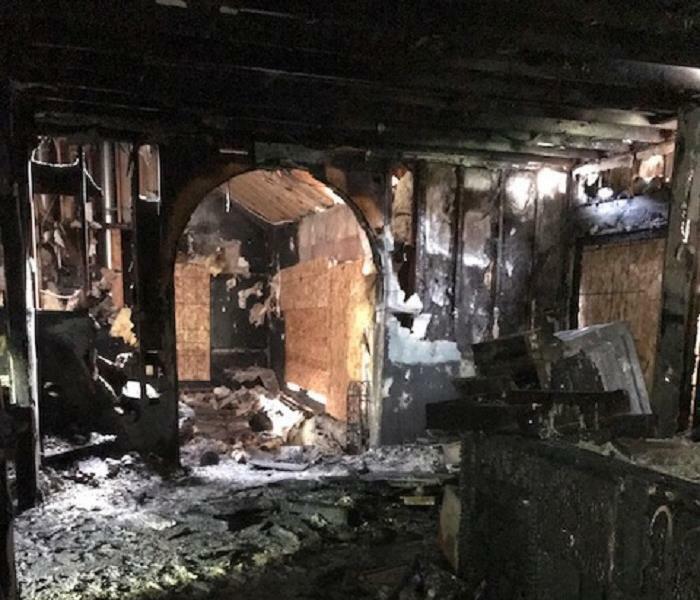 The first 48 hours after a fire can make the difference between restoring versus replacing your property and personal belongings. 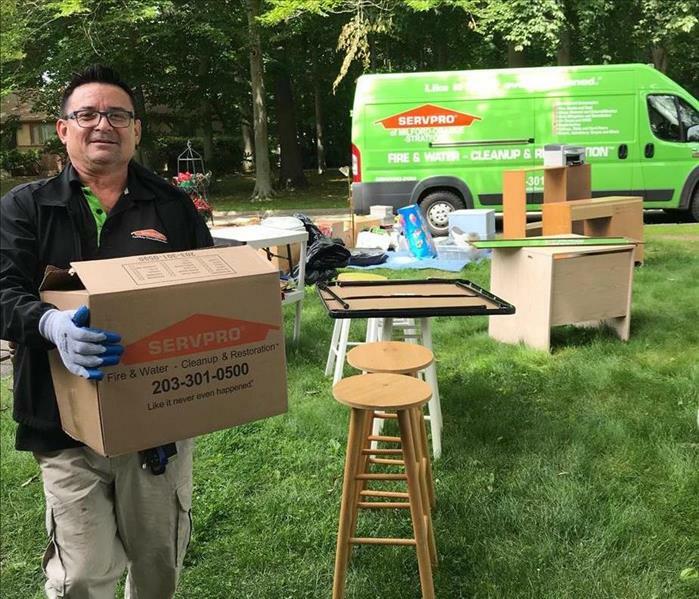 SERVPRO of Milford-Orange-Stratford provides timely response with mitigation services ranging from fire, smoke and soot removal to contents claims inventory and document restoration. These services help ensure your property, belongings and memories are restored to preloss condition when possible. Should you experience the unexpected, trust our professionals to make it, "Like it never even happened." Please call us at 203-301-0500. 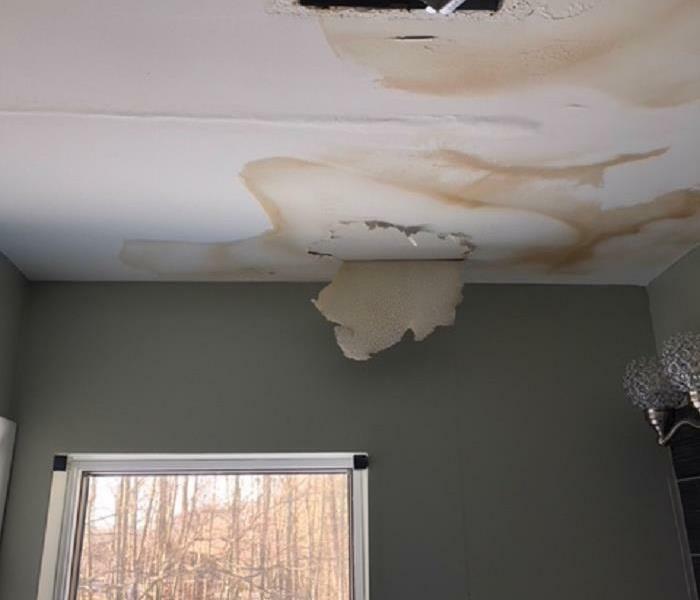 This recently renovated bathroom experienced water damages as a result of an ice dam. Ice dams are formed when snow melts on a roof and refreezes causing a “dam” to form near the edge of the roof prior to the gutter system. Ice dams can be minimized with proper roof ventilation, attic insulation and using a roof rake to remove new snow fall. Don't Forget to Clean Those Drains! 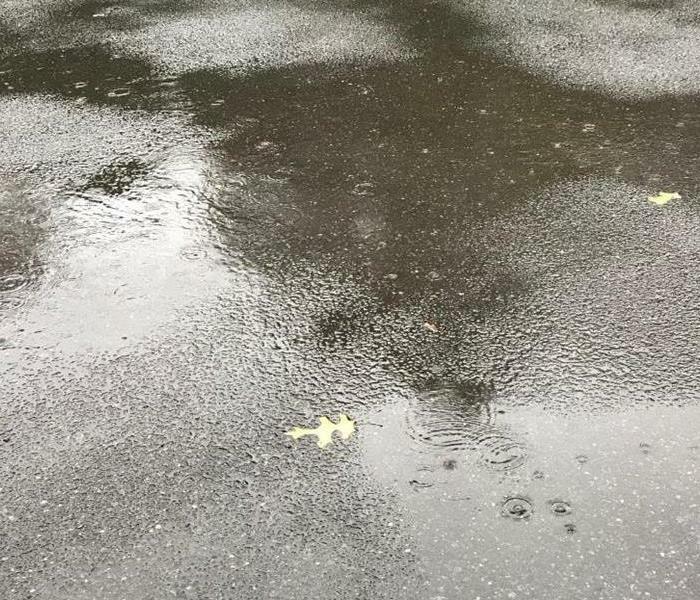 It is important that property owners inspect and clear their storm drains as often as possible. Especially if there has been a severe rain storm or large amount of melted snow. 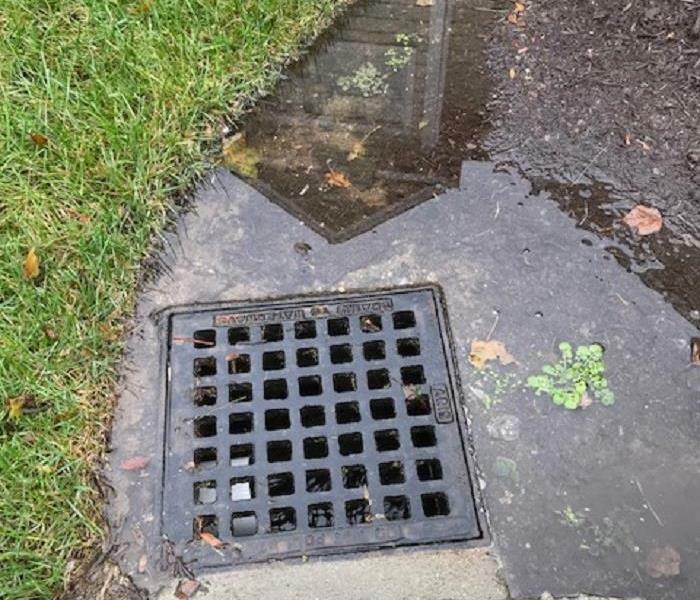 If storm drain becomes backed up or clogged with leaves or debris, excess water can flood the property. Don't Let Water Leaks Disrupt Your Business! Water leaks within a business can be disruptive to a business or facility. Water leaks, pipe burst or malfunctioning sprinkler systems not only can disrupt the facility, but also can interrupt the day to day business functions, which could possibly close the business and affect revenues. Timely mitigation is critical to the restoration process. Quick response time helps ensure that damage is contained and the restoration begins promptly. Should the unexpected happen, SERVPRO of Milford-Orange-Stratford can help make it, "Like it never even happened." 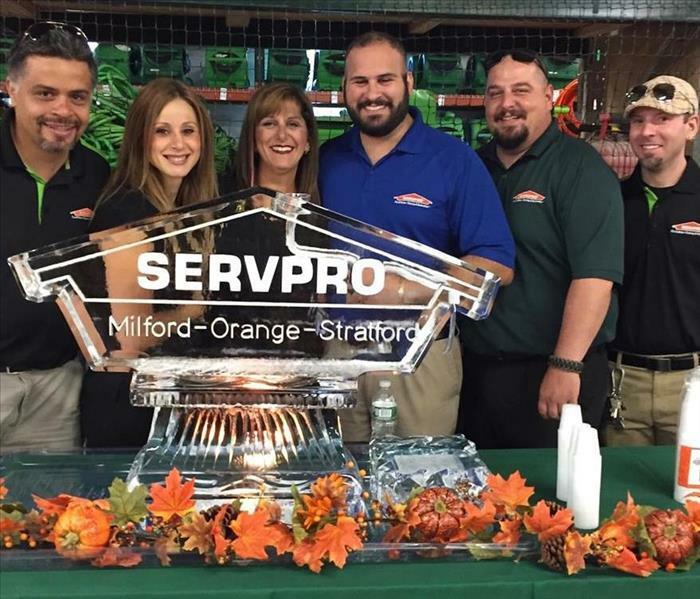 After a fire, SERVPRO of Milford-Orange-Stratford can help restore your business or home to its preexisting conditions; if not better! We are experienced professionals with years of experience providing the very best mitigation and restorations services. We can make the effects of a disaster a thing of the past. Please call us at 203-301-0500. Lastly, should the unexpected happen, call SERVPRO of Milford-Orange-Stratford to help you make it, "Like it never even happened." 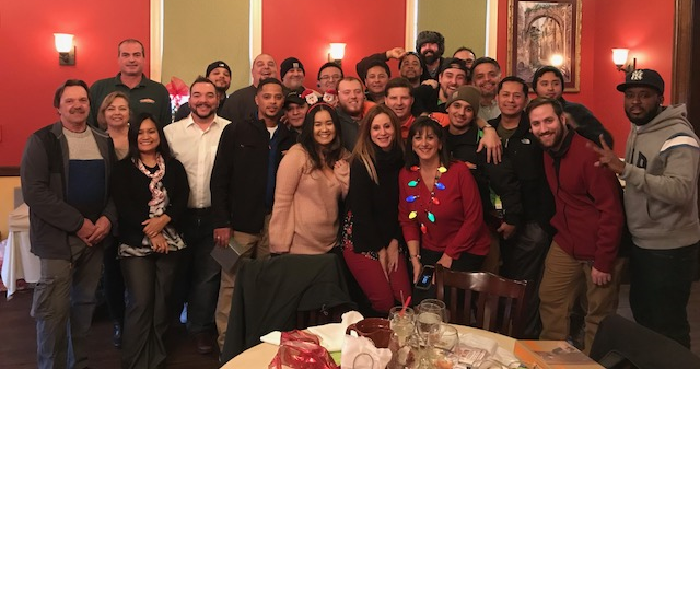 On behalf of the SERVPRO of Milford - Orange - Stratford & Southbury / Torrington family, we wish you and your family a very Merry Christmas and a Happy, Healthy & Prosperous 2018! Freezing Temperature Brings Bursted Pipes. With the recent frigid temperatures, pipes are at high risk of freezing. Unfortunately, this homeowner was away for the holidays when their pipes busted throughout their home. We immediately performed emergency mitigation and reconstruction services to restore their home quickly and thoroughly. 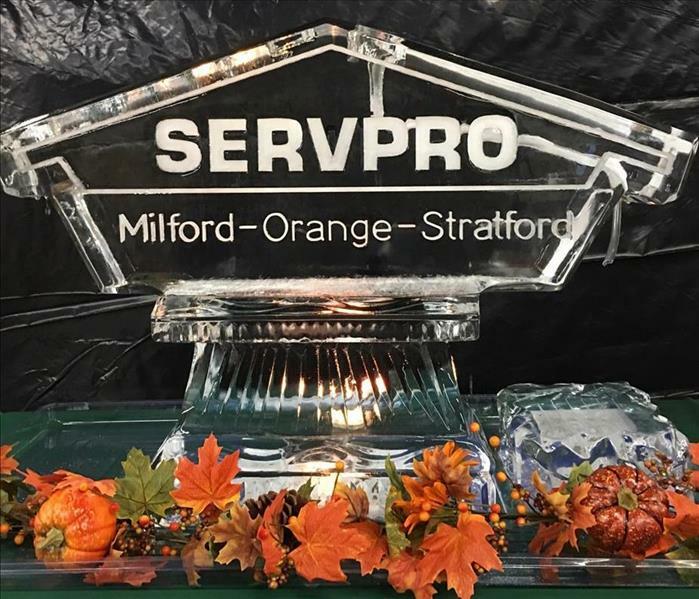 Should the unexpected happen to you, SERVPRO of Milford-Orange-Stratford is here to help. 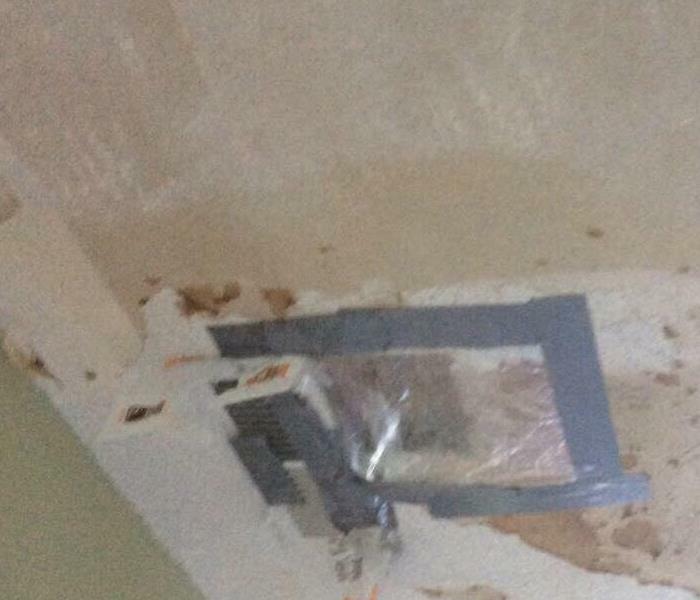 This homeowner had no idea that they had mold, until they smelled it! 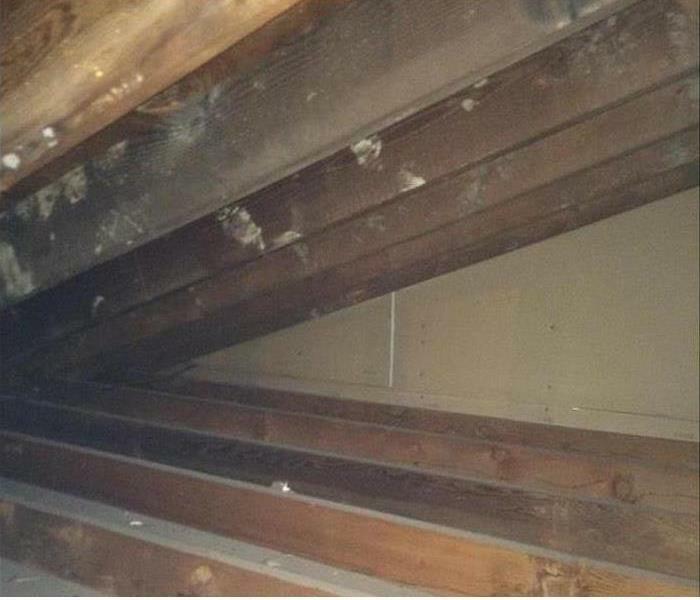 By the time they smelled mold, it was so bad that we had to gut a portion of their home. Should you suspect that you have mold, please call us immediately at 203-301-0500. The cause of mold to this ceiling was due to a slow leak in a pipe. Mold spores can travel throughout the air and attach itself to damp surfaces like sheetrock, ceiling tiles, wood and much more. 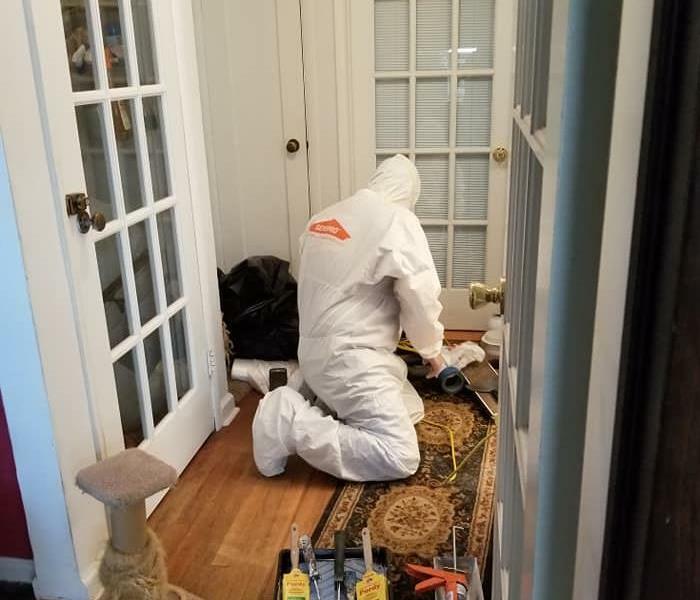 Therefore, when you see mold, it is important to contact a mold mitigation & restoration expert like SERVPRO of Milford-Orange-Stratford as soon as possible. Mold becomes present within 24-48 hours if not treated immediately. Above is a picture of mold found in the basement. The cause was due to a previous flood, which was never mitigated properly. Should you ever experience water in your basement, please call SERVPRO of Milford-Orange-Stratford immediately at 203-301-0500, so that we can properly dry out the space to help avoid mold. Unfortunately, this home owner experienced a substantial flood in their basement. The cause was due to groundwater. Groundwater is caused when water tables outside the basement rise above the basement floor. If there are any open cracks or holes, pressure can push through the water into the space. This leaky toilet was the cause of this residential home to have experienced a substantial water loss. The bathroom, which is located on the main level, did extensive damage to their newly finished basement. The above photo is an example of our emergency roofing repair services needed. Unfortunately, due to a heavy wind and rain storm, a tree fell on the roof of this home. We successful removed the tree and repair the roof. As a result of a recent rain storm, this homeowner experienced flooding in their basement, due to a failed sump pump. We arrived on site and immediately extracted water, cut back sheet rock and dried out the basement. Storm and flood damages occurs more often than not these days! Should you experience damages from a storm or flood, immediate attention is needed, and we are here to help you immediately 24/7! 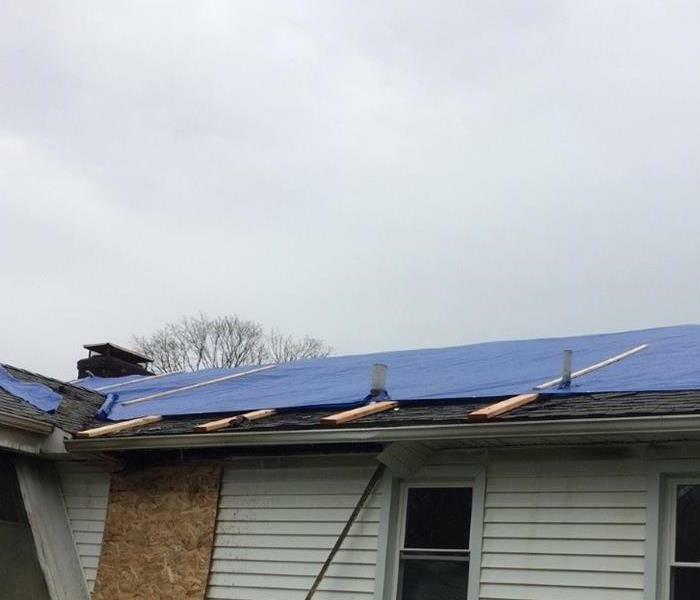 If you experience a roof that has been damaged through a storm, fire, tree through roof or a leak, we are a professional company that can help you in emergency roofing repairs. 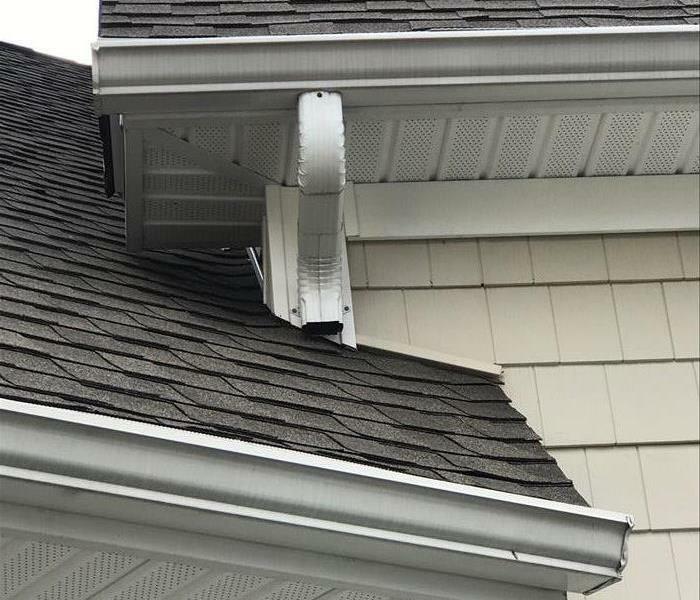 Remove debris from your gutters! The backing up of gutters are very common. To help minimize potential exterior/interior water issues be sure to clean your gutters often. By doing so, this will help minimize your risk to water exposure to your home. 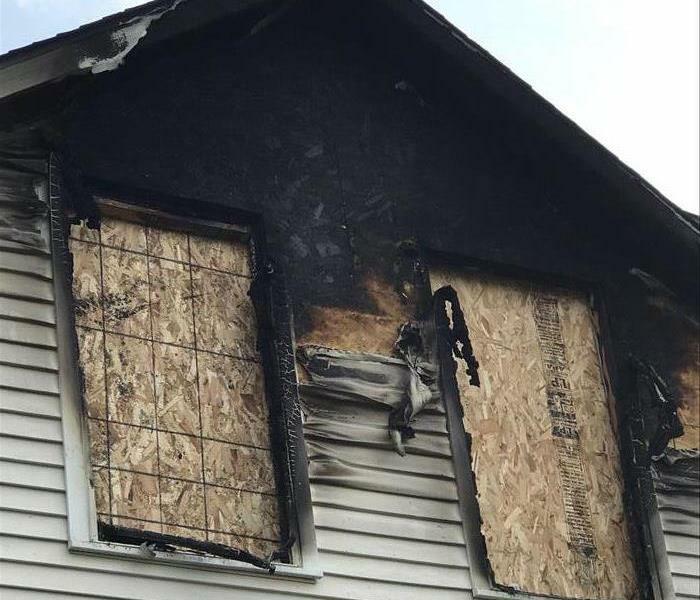 An example of a board up after a fire. 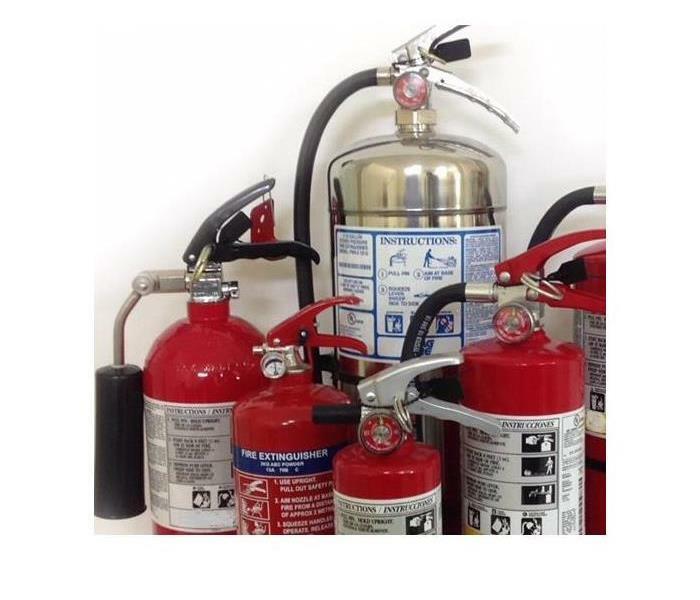 Should your residential or commercial property be damaged through fire, flood, wind or other types of disaster, you become responsible in securing the property. All exterior openings must be secured, including roof, doors or any other openings into the building. Doors and windows should be covered with thick plywood and reinforced with screws. A roof can be secured with plywood or tarp and securely fastened with nails. By securing your damaged property; this will help prevent looting, vandalism or anyone getting hurt on the property. 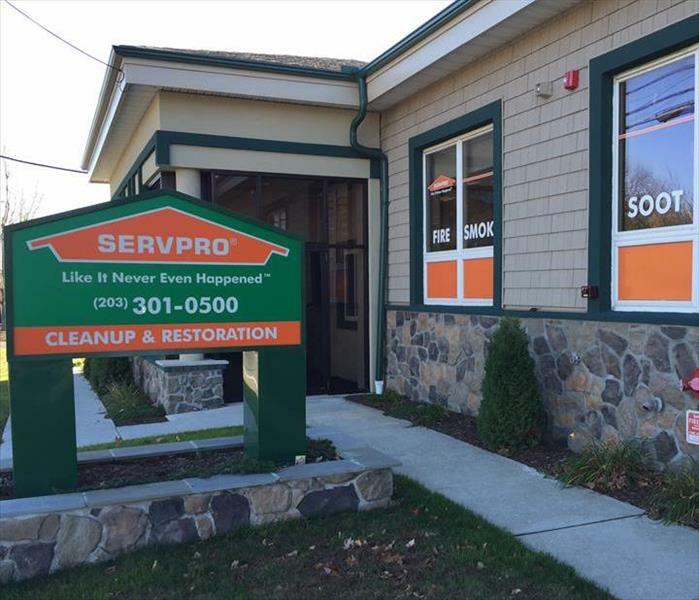 By hiring SERVPRO of Milford-Orange-Stratford , we will be sure that your home or business is secured according to the latest standards. 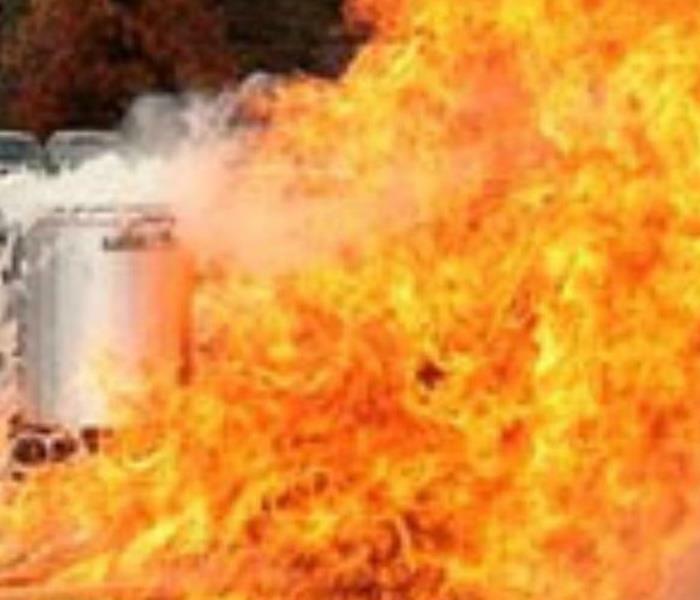 Fire Extinguishers Can Help Save Lives! Mold can spread quickly throughout your home in as little as 48 hours. If you suspect that your home or business has a mold, we can help by inspecting your property. If mold is found, we are the experts to remediate your mold infestation. To learn more about mold visit us at www.SERVPROofmilford.com or call 203-301-0500. When Was the Last Time Your Pellet Stove Was Professionally Cleaned? Pellet Stoves have become a primary or secondary heating source during the cooler months. 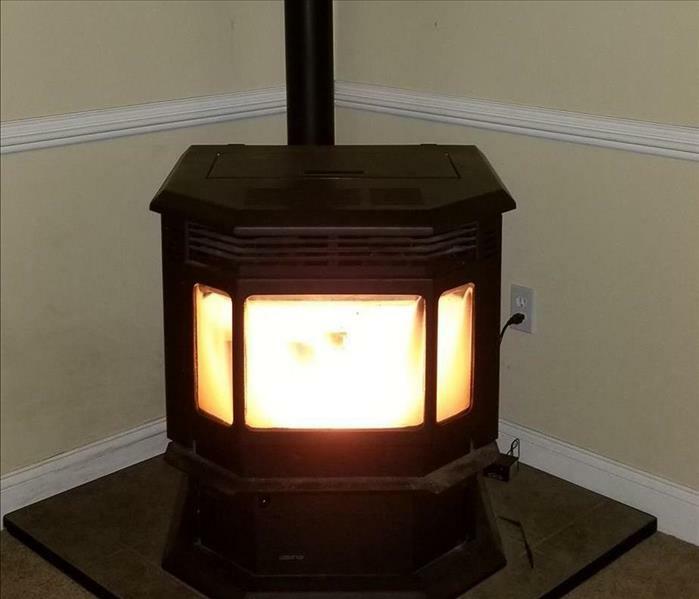 Many people are turning to pellet stoves as an alternative resource to oil, gas, or even wood. While pellet stoves can be economical, be sure to take proper care of your pellet stove. Before each heating season, it is highly recommended that a qualified pellet stove and chimney expert inspect and thoroughly cleans your pellet stove. A clean stove will last longer and burn more efficient. Finally, clean stoves are safe stoves, as removing buildup like creosote, known as soot will help to prevent chimney fires. Lack of maintenance to your pellet stove can lead to your pellet stove not working properly or even worse, a fire. So please be safe this pellet burning season! 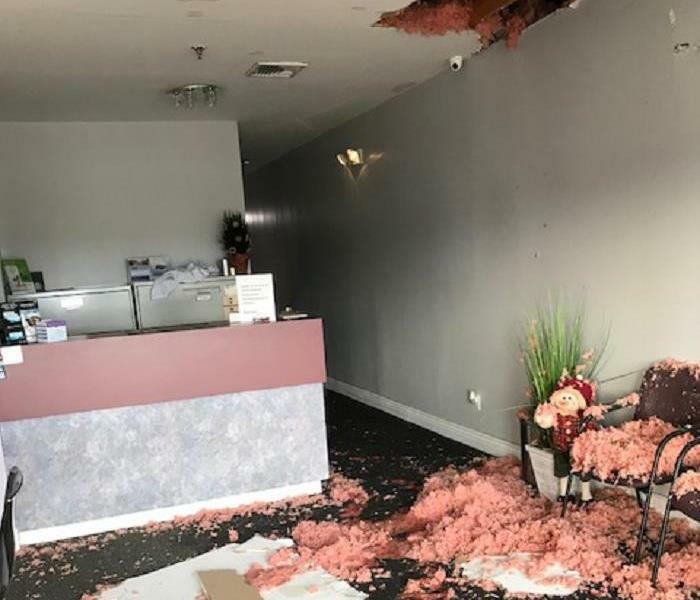 This commercial building suffered a water line break in the bathroom area that delivered massive water damage to the entire building as many areas became saturated. Not only did the water impact cause damage, but the effects of high humidity did as well. Greg and his front office job file coordinators Theny and Alexis. Theny on the left side, Greg in the middle, Alexis on the right side. Ice Luge Sculpture created by a local expert. A great evening with the best team ever! A great day of golf with Toni Dovolani and Roseann Santamaria for the Sterling House 26th Annual Golf Classic Tournament on September 18, 2017 which was held at Oronoque Country Club, in Stratford, CT! A Great Day At the JCC Touch A Truck! It was a great day at the JCC Touch a Truck Family Fun Day! 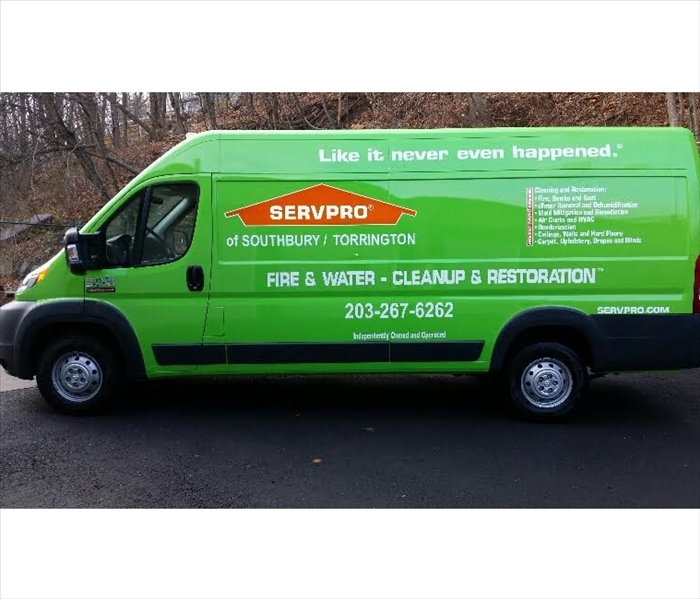 SERVPRO of Milford-Orange-Stratford specializes in fire, water, mold, biohazard clean-up and restoration. We are headquartered in Woodbridge, CT. Should you need us, we are available 24 hours/7 days. 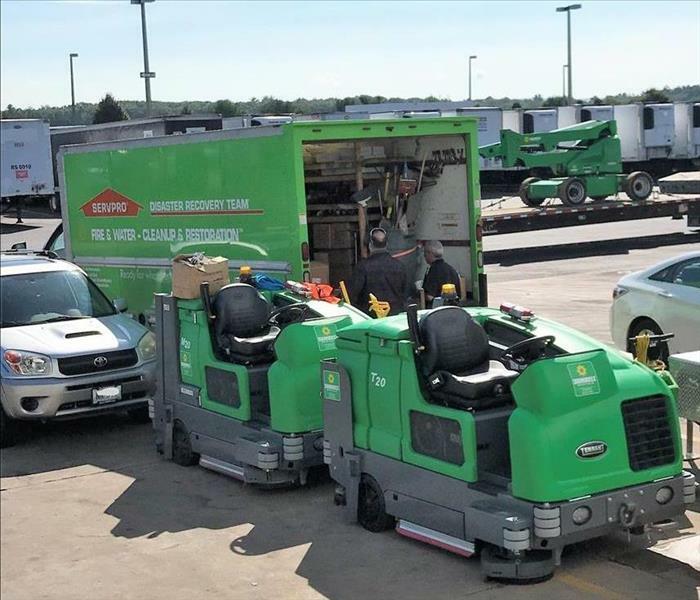 SERVPRO of Milford-Orange-Stratford crews are available 24 hours/7 days a week and are always ready to meet your commercial or residential fire, water, mold, cleanup and restoration needs. Our crew is specially trained in mitigation and water damage restoration. Using industry leading drying technology, our technicians will have you back in your home "Like it never even happened." 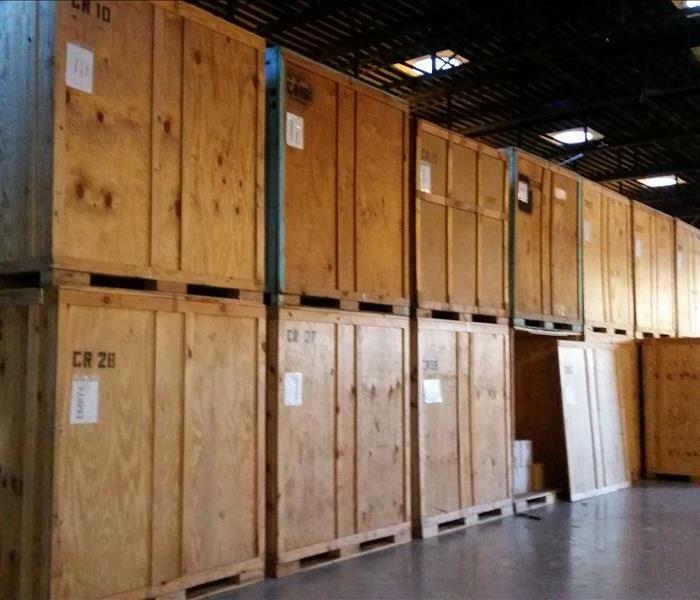 For your peace of mind, we have the facility in place to pack out all your valuables and store them in our own climate controlled warehouse. You will never have to worry about your belongings as they are inventoried before they are stored. Here at SERVPRO of Milford-Orange-Stratford, we are equipped to handle many of your cleaning needs. 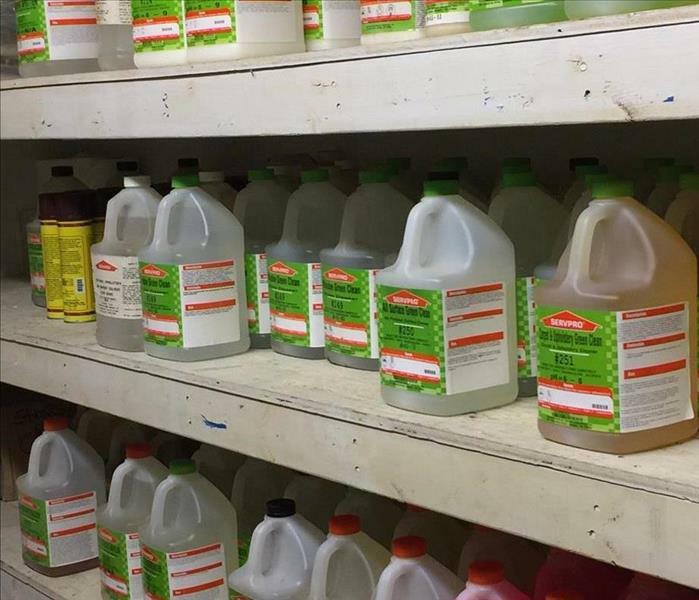 In addition, we keep our environmentally friendly cleaning products in a temperature and humidity controlled space.